With the highly anticipated Red Bull Street Style World Finals quickly approaching, many are excited for what should be an epic display of incredible skills. Along with these superb talents, there are a handful of storylines — particularly on the women’s side — that everyone should definitely be paying attention to. From the controversial online qualifiers leading into the finals to the dramatic rivalries that are sure to up the intensity to another level, here’s what we’ll be keeping a close eye on next week in Poland. 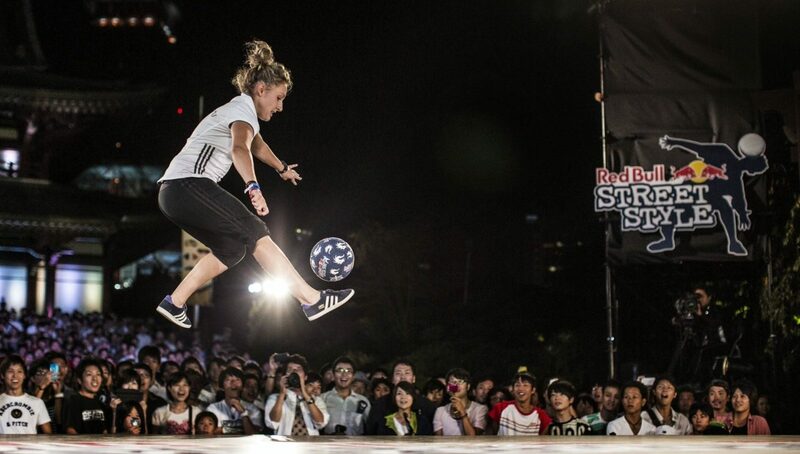 The countdown has begun for one of the most prestigious international freestyle football tournaments — Red Bull Street Style. On the women’s’ side, new faces emerged through the ranks including Mexico’s Fernanda Cabrera and Dutch phenom Laura Dekker, securing their spot alongside returning contenders and the reigning champ Melody Donchet of France. But the road to the top eight was no stroll in the park. 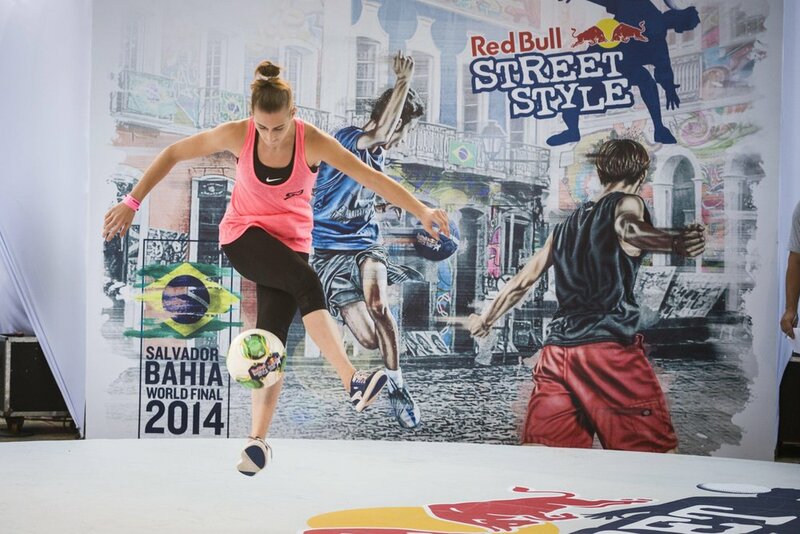 Melody Donchet at the 2014 Red Bull Street Style, which she won. Can she make it three in a row this year? An intensely-fought online qualifier and battle stage led to the eventual naming of the final set competitors who are all undoubtedly training around the clock to claim the elusive title of world champion. With the highest of stakes on the line, there’s sure to be plenty of drama in Poland come next week. As the finals draw incredibly close, we recap all of the controversy that has led up to this point while also examining the biggest storylines that we’ll have our eyes on as they unfold. With not enough platforms for women to compete in, the WFFA selected the competitors using a global online qualifier system. 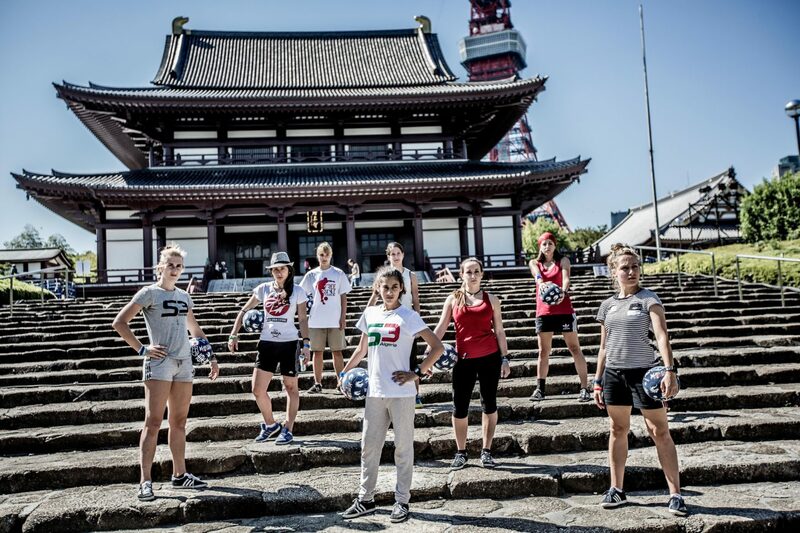 In late July, female freestylers from around the globe entered by submitting a 60-second video. Judges Ricardinho, Kitti Szasz, Gautier Fayolle, Esteban “El Pantera” Hernandez, and Mael Kevin selected the top 14 out of a record 40 entries to go through a final qualification round — the online battle stage. After the announcement of the first round, questions began to arise surrounding a few of the judges’ choices as the video submissions were released. Controversy reared its head as the female community felt that the competition blurred the line between skill and showmanship. Similar to any other freestyle football battle, each competitor was given three rounds of 30 seconds. Competitor A would submit their first 30-second round and wait for Competitor B to respond with their own. The submissions would continue until all three rounds were completed. The judges would then determine the winner based on Red Bull guidelines. The 2013 RBSS finals lineup, which includes 2018 competitors Melody Donchet, Laura Biondo, Lucia Kevicka, and Kalina Matysiak. Women among the community were unsure about the fairness of the online battles. Some felt that it took away from the dynamic of a real battle by giving each competitor the opportunity to redo rounds they were not satisfied with, while others felt it was a great way to toughen up the competition. 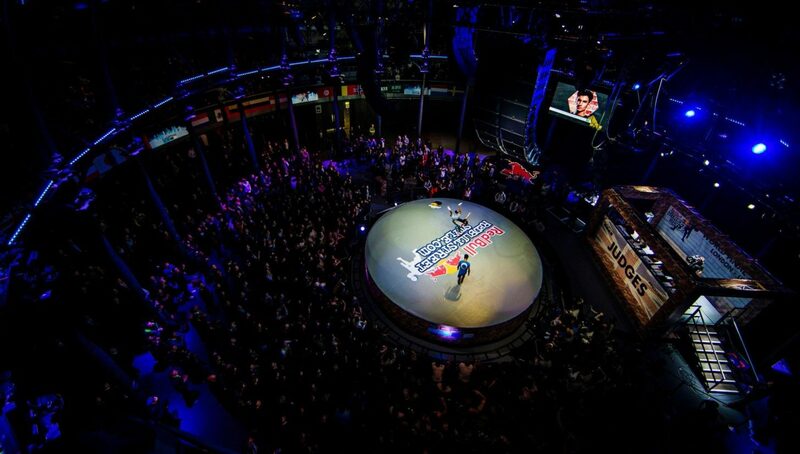 Despite the controversy, eight female freestlyers eventually secured their spot in the Red Bull Street Style Finals, including Melody Donchet (France), Lucia Kevicka (Slovakia), Fernanda “Fer” Cabrera (Mexico), Laura Dekker (Netherlands), Kalina Matysiak (Poland), Laura Biondo (Venezuela), Aguska Mnich (Poland), and Jasmijn Janssen (Netherlands). Just as in the previous rounds, there is sure to be plenty of drama heading into the World Finals. Though the eight finalists are incredibly talented and deserving of their spots, there are two female freestylers that are noticeably absent from the list. The first is Liv Cooke, who achieved her long-standing goal of becoming world champion at the 2017 edition of Super Ball. 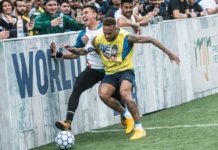 The 19-year-old ambitious talent will surely be missed, as we’d absolutely love to see a rematch of the 2016 Freestyle Football World Tour final between her and Donchet, in which Cooke broke her foot. But alas, the show must go on. Also missing is Caitlyn Schrepfer, who was runner-up at this year’s DAZN World Freestyle Masters Competition in February. Schrepfer recently sustained an ankle injury that took her out of both Super Ball and RBSS, and she’ll be looking to make a comeback in 2019. However, despite the missing juggernauts, there are plenty of A-list competitors amongst the field of eight, including Kalina, who will look to complete freestyle’s version of a “grand slam” after winning both the Masters and Super Ball world titles earlier this year. Her road to a three-peat won’t be easy, as she’ll have to best two-time reigning champ Donchet, who will be competing in her first major tournament since defeating Cooke in the 2016 World Tour. It’s definitely great to see the four-time world champion back on the competitive stage, and it’ll be interesting to see if her nearly two-year hiatus will have an impact on her performance. Donchet competing in her 2016 RBSS championship run. All in all, everything has set itself up for an incredible finals, and even if you can’t make the trip out to Poland, you should definitely have your eyes glued to the live stream. We know we will.